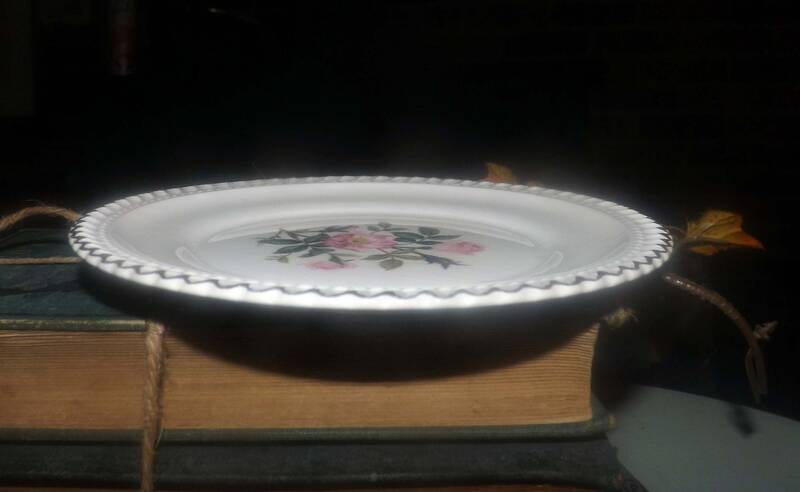 Early mid-century (1940s) Harker Pottery USA Wild Rose bread-and-butter, dessert, or side plate. 22K gadroon edge. 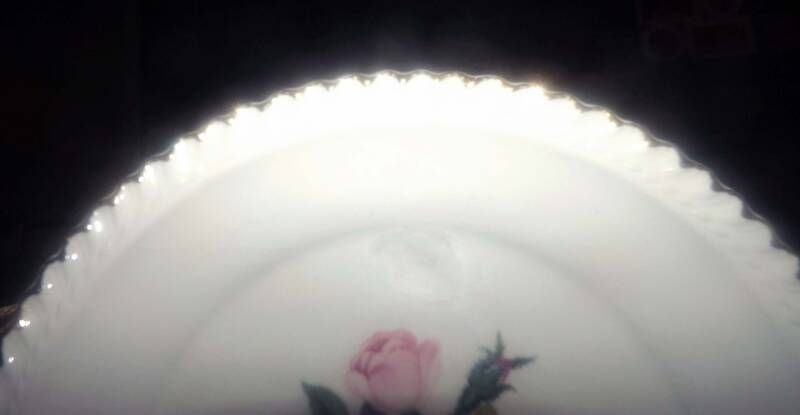 Royal Gadroon dinnerware. 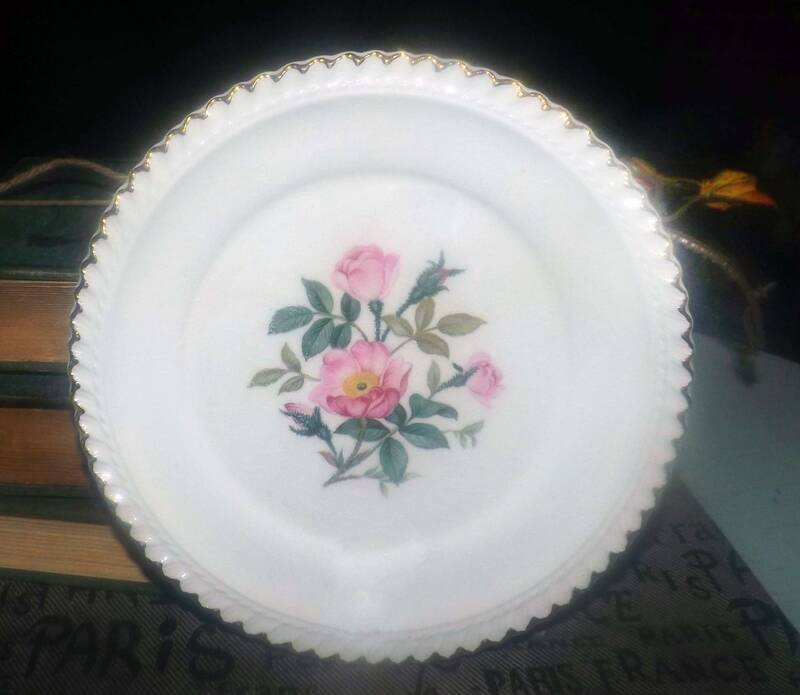 Early mid-century (1940s) Harker Pottery Wild Rose pattern bread-and-butter, dessert, or side plate. 22-karat gold, gadroon edge. 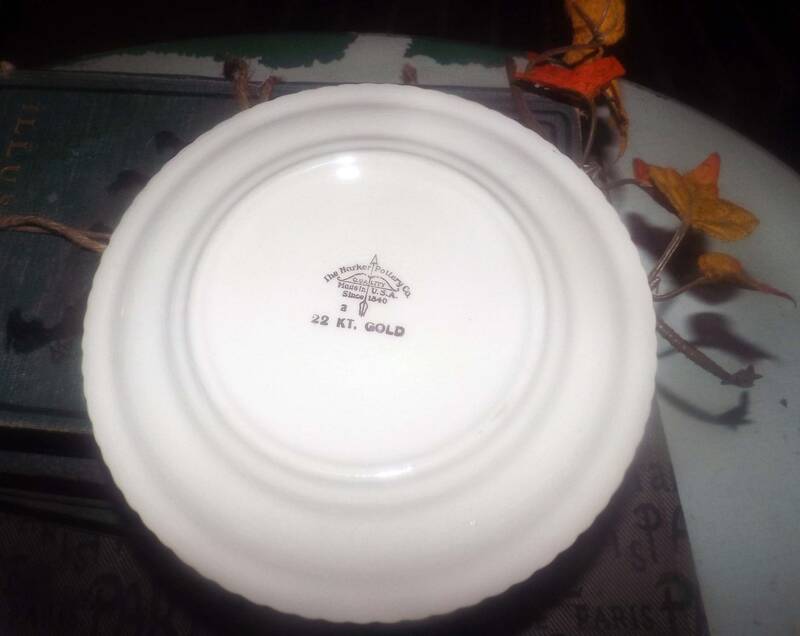 Part of Harker's Royal Gadroon dinnerware line made in the USA. In EXCELLENT! condition with NO! chips, nicks, cracks, or fleabites, MINIMAL! loss to the scalloped, gold edge and NO! marks, stains, scratches or other signs of use or wear. The wild rose florals are bright vivid and bright with NO! fading. There is some natural crazing to the plates (please refer to the posted photos), but nothing out of character for their age. 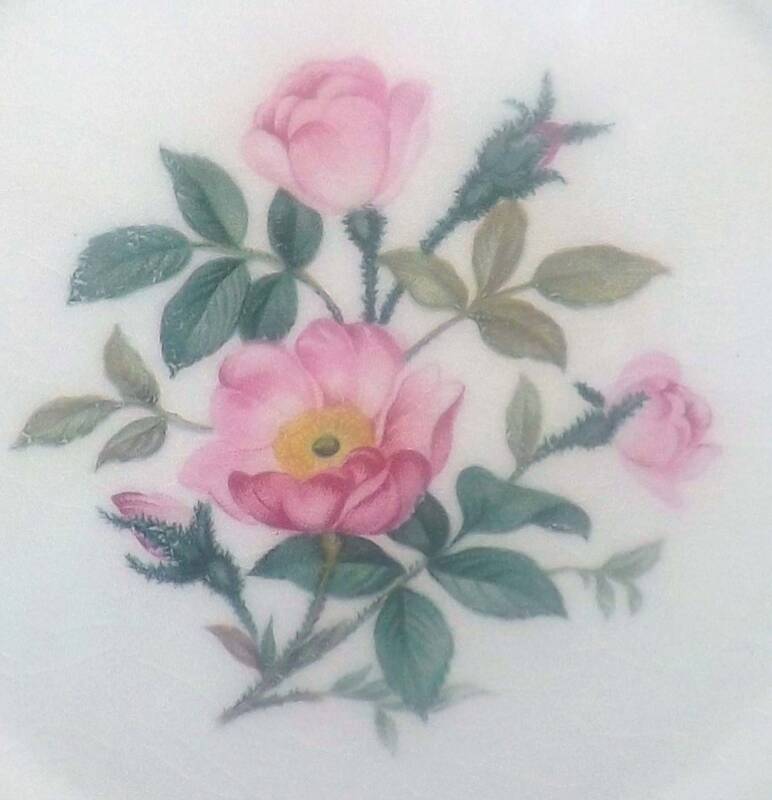 Beautiful dinnerware made in the USA. Approximate measurements: 6-1/4" in diameter with a gold edge.